The APsystems microinverter will operate in standalone mode without connecting to either the ECU or the EMA, and also works with the ECU alone. However, to allow full web analysis, the ECU must be connected to and logged into the EMA. What is the process for installers to install and register APsystems microinverters? Click here to visit APsystems support site that contains information on the resources and process installers need to know to install and register APsystems microinverters. How many YC500As can be installed on a 240V system using a 20A circuit breaker? How many on a 208V system? Up to seven YC500A or YC500i units can be installed on a 240V system using a 20A breaker. Up to six can be installed on a 208V system using a 20A circuit breaker. What accessories are included in an YC1000 install package? The AC Bus Cable and the End Cap. How do I contact APsystems Technical Services? Call APsystems at (844) 666-7034, or email support@usa.apsystems.com. What product training does APsystems offer? APsystems conducts training webinars every week from 8:00 a.m. PST to 10:00 a.m. PST. 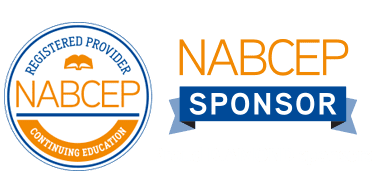 Go to our training page to select a webinar and register. Also, APsystems has a training video on the YC500 and ECU available here. Additionally, APsystems offers regional installer training through participating distributors. Visit the APsystems partner page here and contact an authorized APsystems distributor to find out when their next APsystems product training is. My ECU seems to be stuck in the “Searching” mode. Can you tell me why? The microinverter UID numbers have not yet been programmed into the ECU. What is the YC500A DC startup voltage, i.e. voltage from the panel required to energize the inverter? What is the maximum PV power rating of each panel when connecting four panels to a YC1000? What is the AC Bus Cable “T” Connector spacing for panels installed in Portrait mode? Landscape? The proper AC Bus Cable “T” Connector spacing for panels installed in Portrait mode is 2 meters. The spacing is 4 meters for Landscape. How do Installers request an EMA account? Installers can request an EMA account from APsystems by completing the form on the APsystems website here. Alternately, you can contact APsystems Technical Services or Customer Service at (844) 666-7035. What is the most likely cause of panels displaying 0W in the EMA? Potential causes may include poor power line communications, no web access or an incorrect ECU number input in the EMA. 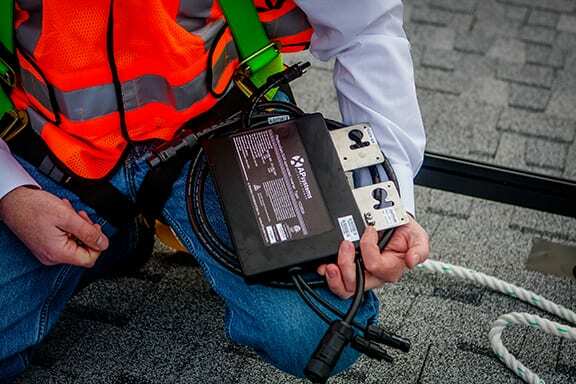 What is required when installing multiple ECUs on the same roof? A line communications filter is required. Contact APsystems for recommendations on line communications filters for your application. What is the unobstructed, line-of-sight range from an ECU w/ ZigBee to the closest ZigBee inverter? What are the approved grounding methods when installing YC500A microinverters? External copper wire (solid/stranded) or WEEB grounding washers. Which length of the YC500A AC cable should be closest to the circuit junction box, i.e. connected to the AC Termination Cable? The long AC cable w/ male connector should be closest to the junction box. Review the installation manual available on the website for detailed installation instructions. Does the YC500 AC End Cap fit a male or female connector? What are the maximum power and current outputs of the eSensor? At what temperature will the inverters go into Over-temp Protection mode? Can Installers embed customer EMA sites into their company web site? Yes. Contact APsystems Technical Services for detailed instructions on embedding EMA system data in a webpage. How often can Installers receive EMA notifications on their customers’ systems status? Daily, regardless of system status. How do I sign up to receive Weekly Energy Production Reports? Select “Send Weekly Production Report” in your EMA account. Who can reset the customer EMA account password? The password can be changed by the installer using their login or by the customer themselves. The password can also be reset by contacting APsystems Technical Services. How many days’ worth of data does an inverter store? The ECU? The microinverter stores two days of data while the ECU stores several months’ worth. What is the wire size of the YC500A AC cable conductors? The YC1000? The wire size of the YC500A AC cable conductors is 12 AWG, and 14 AWG for the YC1000. What does a flashing red light on the microinverter’s LED indicate? Flashing green? A flashing red light indicates the microinverter is not producing energy. A flashing green means the microinverter is producing energy. Does the ECU’s Neutral conductor need to be connected in order to communicate with the microinverters? What information is needed to register an installation in the EMA? The installation map complete with microinverter UIDs, customer contact information and the ECU number. Can the YC1000 provide individual monitoring of each PV module? What is the maximum number of YC1000s that can be installed per branch on a 480V system? A 208V system? Up to 11 YC1000s can be installed per branch on a 480V system, or up to four on a 208V system. At what point during the installation process should Installers attach ZigBee antennas to the inverters? After the inverters are mounted to the racking. Can technicians use their smartphone cameras to scan inverter bar code labels when using the ArrayApp? Yes for the iPhone and select Android devices. What is the ECU’s default IP address? The ECU is not communicating with the EMA server. How often do the ECU and microinverters communicate on a typical residential system? How do installers update the ECU software? No action is required, the software updates automatically. Where do I update the microinverter UID number when a unit is replaced? The UID number should be updated in the Installer/Distributor EMA account and on the ECU. What does an “!” after the inverter count on the ECU display indicate? It indicates an inverter count mismatch. What is the likely cause of the error “ECU number already exists” when registering a system? The ECU registration is incomplete. Do technicians need to run an external ground cable when installing a YC500-MX model microinverter in a 127V system? No, there is a dedicated ground wire in the AC cable. What is the length of the YC500A AC cable from end-to-end, i.e. the maximum possible distance between adjacent inverters on the same branch circuit? What is the maximum size PV panel (power output) and number of cells that can be connected to an APsystems YC500A microinverter? Panel is compatible with the YC500 if all MPPT and short circuit voltages, currents and temperature specifications are compatible and it has MC-4 DC connectors. What kind of warranty is available for APsystems microinverters? 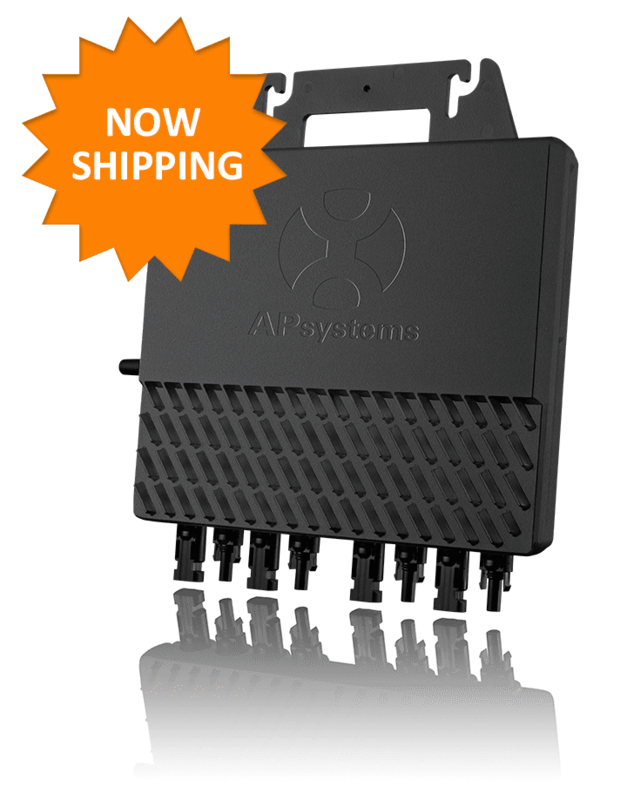 APsystems offers a limited 10-year warranty extendable to 25 years. What regulatory standards do APsystems microinverters comply with in North America? How do APsystems microinverters comply with AFCI (Arc-Fault Circuit Interrupter) – NEC 690.11? This requirement is for direct current (DC) Arc-Fault Circuit protection and only applies to systems with DC voltages above 80 VDC. APsystems USA microinverter systems are exempted from this requirement as they always operate well below 80 VDC. The requirement is basically unchanged from the NEC 2011, and it is unnecessary to add DC AFCI to an APsystems USA microinverter system installation. How do APsystems microinverters comply with rapid shutdown (NEC 690.12)? 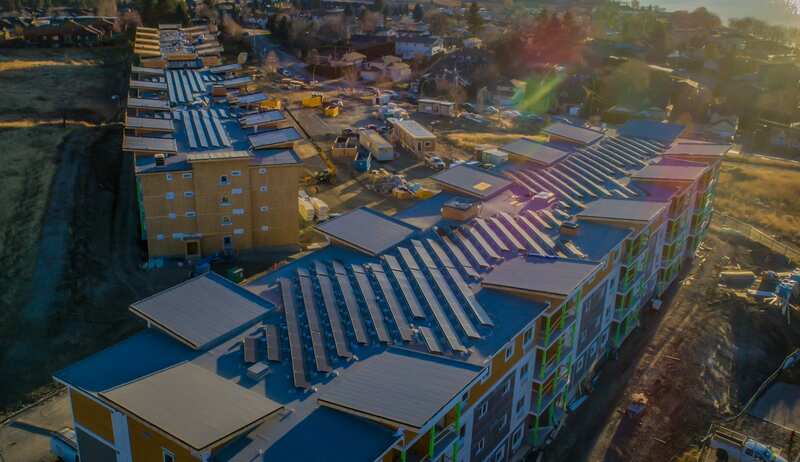 Solar electric PV systems with APsystems microinverters have one utility-interactive inverter directly connected with two solar modules (YC500), converting low-voltage DC to utility grid-compliant AC. 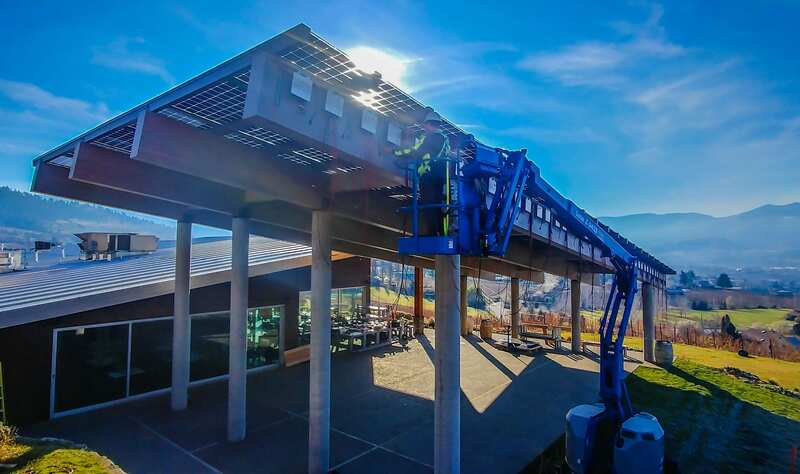 When the utility grid is available and the sun is shining, each microinverter verifies that the utility grid is operating within the IEEE 1547 requirements. Only then does it export AC power into the electric service for use by loads onsite or export power to the utility grid for others to use. When the utility grid has a failure, or the PV system AC circuits are disconnected from the utility service via an AC breaker, AC disconnect, or removal of the solar or main utility service meter, the microinverters stop producing AC power in fewer than six AC cycles. than 3 m (10 ft) from a PV array.